When defining your deployment process, the most common step type will be a package step. This step deploys your packaged application onto one or more deployment targets. When deploying a package you will need to select the machine role that the package will be deployed to. You will also be asked to select the feed that is the source of the package, and the ID of the package to deploy. You can dynamically select a Package Feed and/or the Package ID at deployment time using an Octopus variable expression. 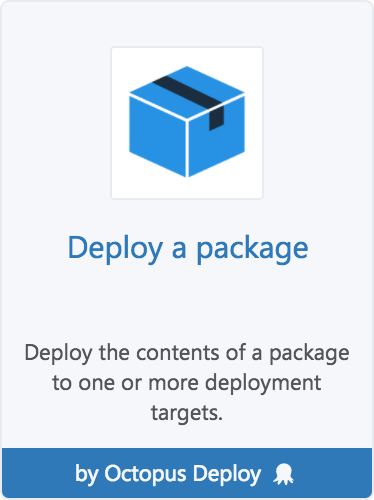 Learn more about using dynamically selecting packages at deployment time. When multiple machines are in the role you select, Octopus deploys to all of the machines in parallel. If you need to change this behavior, you can configure a rolling deployment. 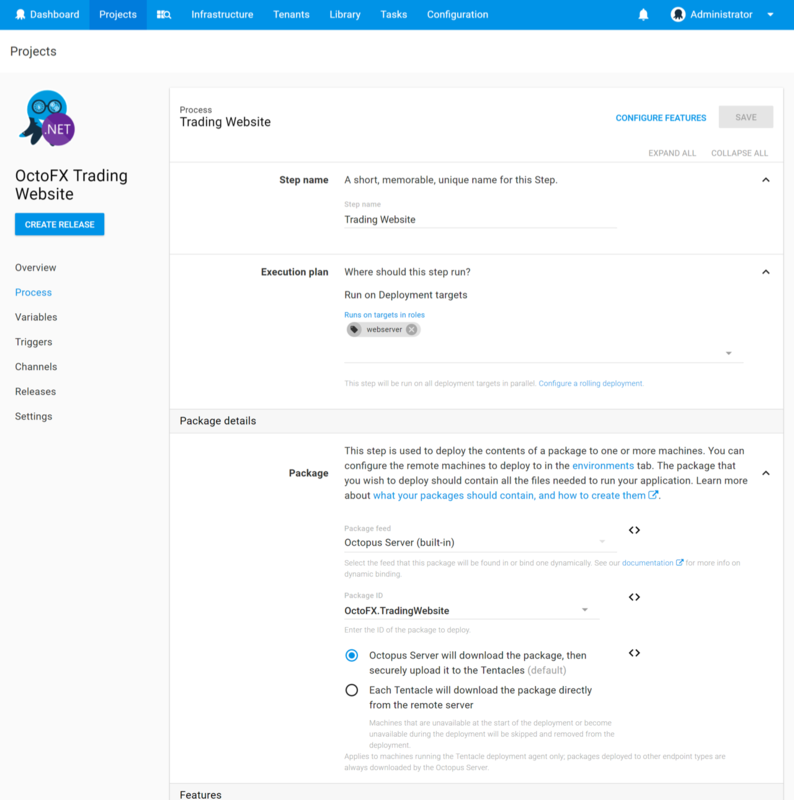 Octopus is built to make it easy to deploy .NET applications, and contains a number of useful built in features that can be enabled on NuGet package steps. See Configuration Features for more details. Acquire the package as optimally as possible (local package cache and delta compression). Example: C:\Octopus\Applications\[Tenant name]\[Environment name]\[Package name]\[Package version]\ where C:\Octopus\Applications is the Tentacle application directory you configured when installing Tentacle). Extract the package into the newly created folder. Execute each of your custom scripts and the deployment features you've configured will be executed to perform the deployment following this order by convention. Output variables and deployment artifacts from this step are sent back to the Octopus Server. Each part of a package step is executed in a specific order by the open-source Calamari project to enable more complex deployment scenarios.